Many businessmen are creating their online presence to expand the radius of their business & its growth. It is because nowadays, people are more attracted towards the online activity. And if you have a business of renting cars which is way too popular, they must create a website too. For this work, hiring a web developer costs a big amount. And it is true in most of the cases. But what if you can simply do it by using some prebuild car rental PHP scripts? The answer is HELL YES! Through a car booking PHP script, you can create a website of your desired business & manage all of your business from a single end. Earlier, people used to make a call to you when they want to hire a car. But now, they will be able to book their car/taxi online. And on that account, you will be able to manage all of your rental services. That’s why I’ve mentioned some of the best PHP scripts through which you can jump-start your online presence of car rental services. Even if you have a website already but didn’t know how to implement this functionality then the tools present in this article will surely help you with it. 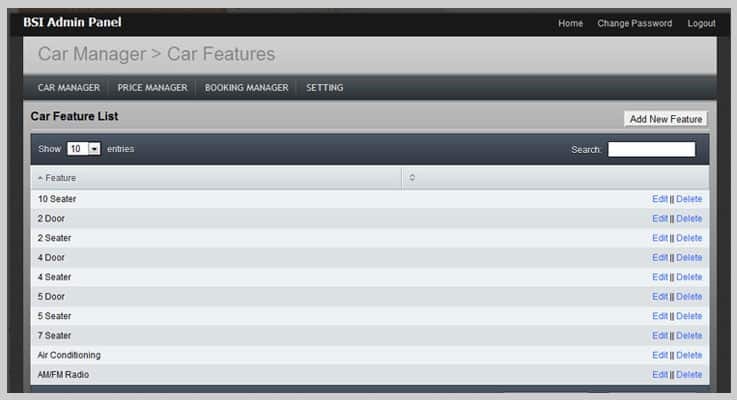 They all come with various features like driver & client management, status, car/taxi & child seat availability & so on. You will find more attractive features once you start reading this blog. So have a calm mind just read out this article! 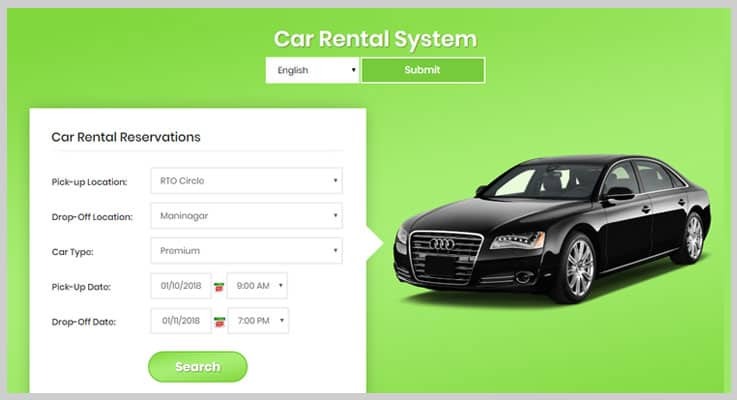 Through Car Rental System, you can run your entire business of renting cars to your customers. You can do all of it from a single desktop. It will especially allow you to set a seasonal price with a date range where most of the customers are more likely to rent a car. It comes with 16 global languages with a feature of adding new languages too. So you won’t be able to lose any of the customers who speak a different tongue. Regular License: This package costs $21. Through it, you will be able to access the real-time availability of the car. Extended License: For this license, you have to pay $100 for more advanced features like 100% source code option, unlimited cars addition, etc. As an admin, you can edit the rental confirmation & cancellation content of the email from the admin panel itself. You can add this PHP script system with your existing website without any difficulties. Also, this tool will allow you setting the price of the rental car according to the days of the weeks. This is how you can smartly earn within the guidelines of the transport corporation. 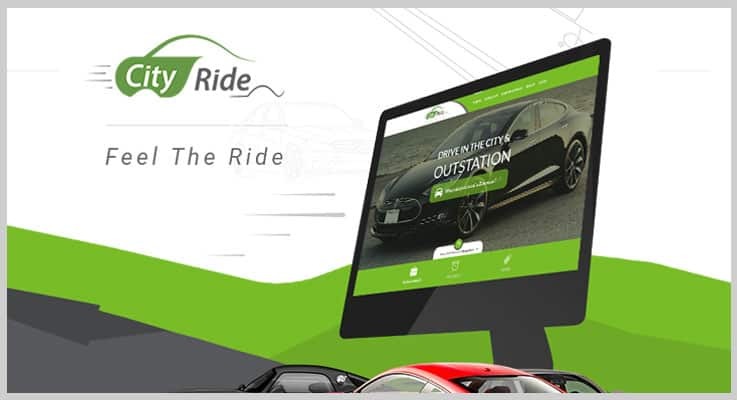 City Ride is a simple & advanced car rental PHP script built along with Codeigniter framework. It is designed basically for small, medium & large car rentals with a lot of features. 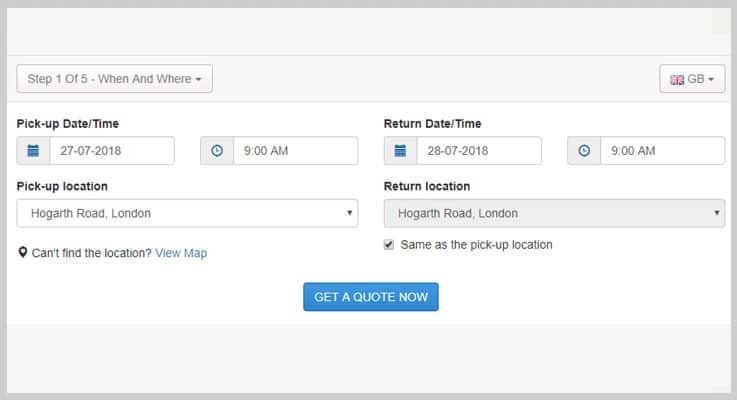 Through its automatic as well as custom rental booking system, your customers can search for a car & then book it in advance in just a few clicks. Regular Plan: This plan charges around $28 in which you can freely distribute a copy of your license to other users. Extended Plan: The Extended plan costs $10004. Don’t worry about its costliness. You can create its multiple copies & then sell it to other users according to your needs. Your customers will be able to book the cars on the hourly, daily, weekly & monthly basis. It includes a database of over 1000 cars within itself. So you don’t have worry about adding any other car. The customers who have hired their cars can track the status of their booking from their own panel. Car Rental Portal is an effective online car booking system for helping the rental car owners. Here, you are an owner so you will be able to manage car inventory as well as reservations simultaneously from the website. All you have to do is to install it on a single click & manage all of your rental car services. Basic License: For this license, you have to pay $30. It includes both the item fee & the buyer’s price. Advance License: The Advance license bills $707 which comes with an additional feature of language add-on option. On its dashboard, you will be able to manage the lists of today’s booking, pick-up & drop-off. Also, you will be able to add unlimited cars along with their images. So, your customers will find it easy while booking a car for rent. The customers will be able to make payment via integrations like PayPal & manual gateway. Also after successful booking, both owner & customer will receive an email notification about it. ExpressGo is a PHP script through which you can easily manage your online car business in a much better way. 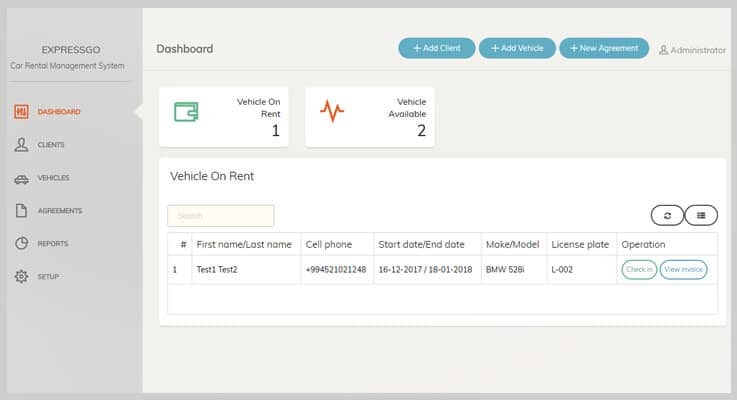 On its dashboard itself, you will be able to track some details like the number of vehicles available, on rent, customer of the hired car & many more. It majorly consists of 6 sections such as dashboard, clients, vehicles, agreements, reports & setup. Each of them is way too easy to use even by a non-technical person. Basic Package: This package has a charge of $30 in which other users won’t be charged for using this tool. Advance Package: For more attractive features, you have to purchase its advance plan of $125 charge. This tool is multilingual. So you can change the language of it at any time according to your clients. Through this car rental tool, you can manage agreements as well as invoices with status like paid, void & unpaid. You can also calculate some matrices related to your car rental business such as tax, surcharges & many more elements. Call My Cab is a way too convenient & affordable online car/taxi booking system. If you are a tax owner then this is the perfect option for you. 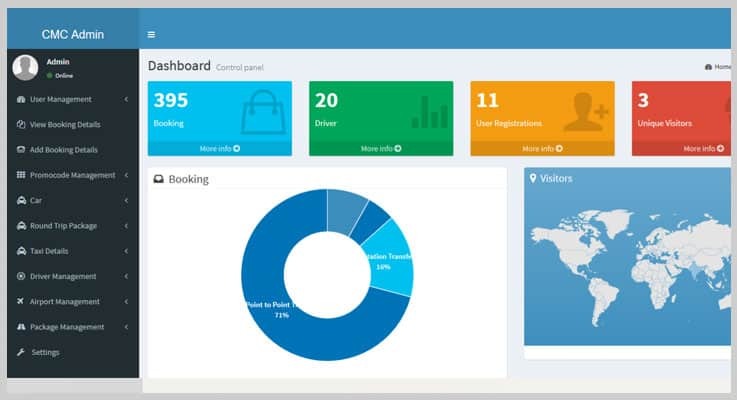 The most important aspect of this PHP script tool is that it has one of the best looking dashboard section. Unlike other car rental software, you can check the number of drivers you have which are currently available. So you can better plan every ride of your customer in a much smarter way. Standard License: $40 is the charge of its standard pack with a user-friendly UI as well as admin panel. Extended License: If you are looking for selling this product’s copies to other users then you can purchase its Extended license. It costs only $525. You can create a promo code for specific vehicles. By doing this, more & more people will attract towards the offers & services of your business. It is integrated with multiple payment gateways such as PayPal, Braintree & Authorize.net. The reason is that most of the people pay through these gateways only. Separately, you can create & add outstation packages for your customers as these trips can let you earn a good amount. And if you have the online feature of it, ‘YOU ARE A BOSS’! The Car Rental Script is mentioned in the last of this list. Yet, it has multiple features which can help in managing your car rental business smartly. You can add each & every kind of information regarding your car. So your customers can find their right car which they really want to hire. If your customers are unable to book their ride, you as an admin can manually add all of the details. Yes! This tool provides good flexibility! User License: This plan charges $79 for features like free updates, installations, custom modifications & so on. Developer License: For custom source-code & copyright removal, you have to pay $179 as per the Developer license. As per your payment rules, you can allow or disallow the cash payment functionality. You may set it according to your car type & the region for which the car is rented. It comes with 10 different color schemes through which you can create a beautiful interface of your tool. Whenever a customer rents a car, you can automatically send the details to him/her about that booking. So above are some of the best car rental PHP script software which you can use for your business. Through them, you can turn your car/taxi rental business to the online level. Also, almost all of them allows adding an unlimited number of cars to the database with their images. So after seeing too many choices, your customers will surely be able to book their car for rent from you. You might have found too many features after reading about these PHP scripts. Now, it is time to finalize the best one. Hope our suggestions helped you! In case of any queries or suggestions you want to provide, please drop a comment below. We’ll surely reply to it!